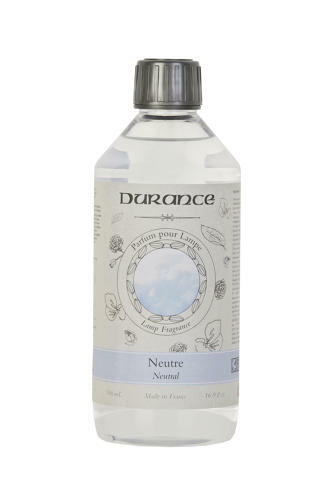 MAGIC LAMP REFILL NEUTRAL - Find the most in-demand Durance fragrances in catalytic lamp fragrances. A range of rare fragrances made by our master perfumers from Grasse. Compatible with all catalytic lamps. The neutral, without fragrance, can be used to cleanse and neutralise bad odours inside your home. The use of the neutral is highly recommended to make the transition between two fragrances since it enables you to clean the burner and thus prolong its shelf life. In this case, you can use it as a classic fragrance by using it for 30 minutes in the room.